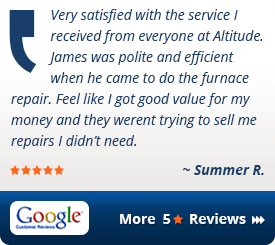 Serving Denver and the surrounding areas, Altitude Comfort provides our customers with friendly, professional service for all their heating and air conditioning needs. Our certified HVAC technicians are trained to service all brands and models, and we specialize in the installation of affordable, high-efficiency home comfort systems. 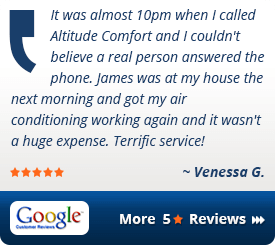 We’re experts at keeping you comfortable, and helping you save money through lower utility bills. 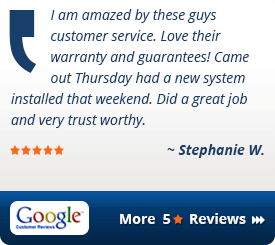 You can trust us with all of your heating and cooling needs. 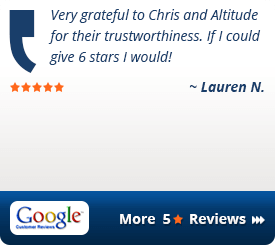 We do the job right the first time, and we 100% guarantee your satisfaction. It’s right, or we’ll make it right. Guaranteed. Call us at 303-505-3406 to find out how quickly we can help you with repairs or service, or to schedule a free, no-obligation estimate on a new, high efficiency system.